Looking for a New home in a Historic Neighborhood? 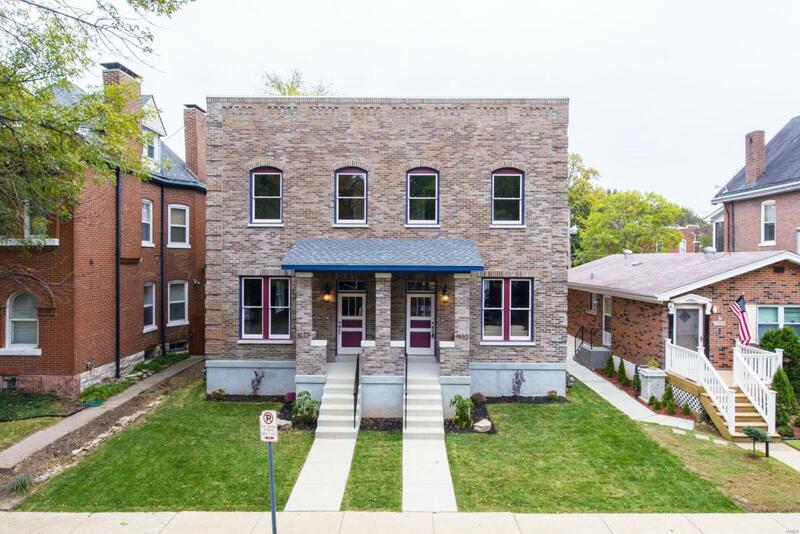 Here's your chance to live in the desirable neighborhood of Compton Heights! Townhouse features over 3600 sq. ft of living space with 4 Bedroom and 3.5 Baths & a fully finished basement (perfect Man Cave, guest space, in laws quarters)! Spacious Open floor plan with 11' Ceilings on main floor. Living room with custom stone gas fireplace, hardwood floors and recessed lighting through out. Custom Kitchen Cabinets, 10' Island, with black stainless appliances, custom back splash & granite counter tops. 3 Large bedrooms upstairs, 2 large baths and second floor laundry. The basement is AMAZING with a large entertainment space with ceramic tiles, full bedroom & a full bath. Enjoy morning coffee on the over sized decks or evenings with wine! Nice sized fenced in level yard with a 2 car garage/port. Located on a quiet dead end street. Easy access to restaurants, downtown & a 3 min drive to jump on HWY 44.